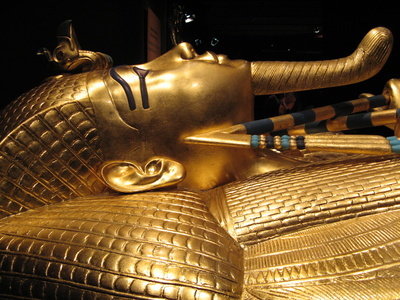 The curse of Tutankhamun: Will Egyptian deals come back to haunt? The former Egyptian Interior Minister Habib al-Adly has been convicted and sentenced to 12 years in jail for fraudulent land deals. Mr. Adly, who pleaded not guilty also was fined US$2.5 million. Many of the former Mubarak regime and Mubuarak’s sons Gamal and Alaa are now in detention at Tora Prison complex, just outside of Cairo either under investigation for similar crimes or awaiting prosecution. There are so many of the former regime in the prison that reportedly they have set up their own football team in the prison. Richard Alderman confirmed to us when we met with him last week that the SFO is already looking at an Egyptian case and noted that it would be “interesting” to see how many other cases emerge. Similarly, in early March we wrote of the opportunities which regime change in Africa afforded the SFO in the context of corruption. With the vaults in Cairo being unlocked post revolution and the Egyptian press full of stories (including a claimed US$145 million found in a bank account said to be in the Mubarak family name but related to the Alexandria library) about the ongoing corruption probe into the Mubarak regime we anticipate that these stories will be the first of many. Hosni Mubarak has denied the allegations of corruption. Most press stories around the current corruption probe appear to centre on land transactions and oil sales to Israel. We have been told by Egyptian counsel that the Supreme Court has stated that, in relation to some of the land deals, a decision of the Egyptian government should not affect third party rights, if for example land had been corruptly acquired by one party and another overseas developer had then unwittingly invested millions of pounds on development of housing and infrastructure. However, businesses with Egyptian exposure should not assume that this heavily caveated assurance is the all-clear. It is still very early days post revolution in Egypt and the position remains very fluid. We anticipate that it is likely that some non Egyptian companies names will be mentioned in the context of the current probe (it has already started to happen) either in the media and/or in prosecutions or investigations locally. This gives rise to at least two risks. First, that Egyptian authorities pursue that entity and second, irrespective of what the Egyptian authorities do, that overseas investigators and prosecutors (for example the SFO, DOJ or others) will engage. For companies with Egyptian exposure it may be prudent to review existing Egyptian operations now. We are working with Egyptian colleagues to provide clarity on the situation to clients who either (1) have Egyptian operations or (2) are looking to the future to help the country get back on its feet and who are considering the likely risks.